NEW YORK (Reuters) - Signs that the United States and China might reach an agreement in trade talks and news of a tentative deal to avoid another government shutdown in Washington helped push world stock markets and bond yields broadly higher Tuesday. Tokyo's Nikkei set the tone with a 2.6 percent rally, its best day of the year, while the Stoxx 600 index of European shares gained nearly 0.5 percent. 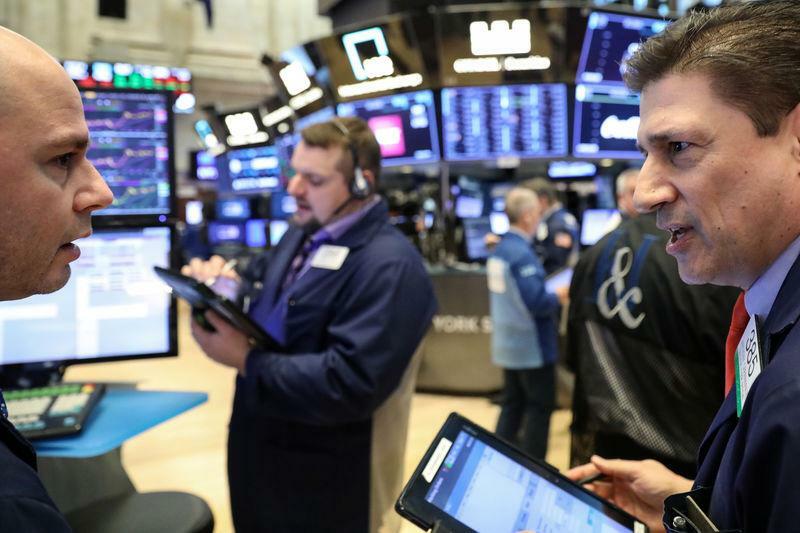 On Wall Street, the Dow Jones Industrial Average rose 372.65 points, or 1.49 percent, to 25,425.76, the S&P 500 gained 34.93 points, or 1.29 percent, to 2,744.73 and the Nasdaq Composite added 106.71 points, or 1.46 percent, to 7,414.62. MSCI's gauge of stocks across the globe gained 1.17 percent. U.S. and Chinese officials expressed hopes that the new round of talks, which began in Beijing on Monday, would bring them closer to easing their nearly year-long trade war. In Washington, U.S. lawmakers reached a tentative deal on border security funding, though aides cautioned that it did not contain the $5.7 billion President Donald Trump wants to build a wall on the Mexican border. "What investors are taking from this is that the government stays open; whether or not Trump signs on the deal is secondary," said Peter Cardillo, chief market economist at Spartan Capital Securities in New York. The dollar, meanwhile, slipped but remained near a two-month high after notching its longest winning streak - eight days straight - in two years. The dollar index fell 0.36 percent, with the euro up 0.49 percent to $1.133. The optimism that another government shutdown in the world's largest economy would be averted and trade tensions between the United States and China were easing helped push bond yields higher as investors traded out of safety plays. Benchmark 10-year notes last fell 6/32 in price to yield 2.6823 percent, up from 2.661 percent late on Monday. In commodity markets, oil prices jumped up as traders weighed support from OPEC-led supply restraint and a slowdown in the global economy. U.S. crude rose 2 percent to $53.49 per barrel and Brent gained 2. percent to $62.77.